Homes for Sale in Pawlet, Rupert and Middletown Springs VT Southern Vermont's Leading Independent Brokerage. Since 1962. The rural farming towns of Pawlet, Rupert and Middletown Springs encapsulate the romantic image of Vermont with its rolling hills, cow pastures and friendly residents. The areas small population enjoys a quiet, pleasant lifestyle. The heart of the Mettowee Valley is in Pawlet, a sweeping valley surrounded by beautiful mountains. Middletown Springs lies just east at elevation, with amazing views revealed at every corner. Just south and west of Pawlet is the town of Rupert which borders Dorset and gives residents the easiest access to Manchester and it's surrounding ski resorts. While all three towns are a great place to live year round, they should also be considered by those looking for a vacation home, due to their close proximity to Manchester, the mountain ski resorts and great hiking trails. 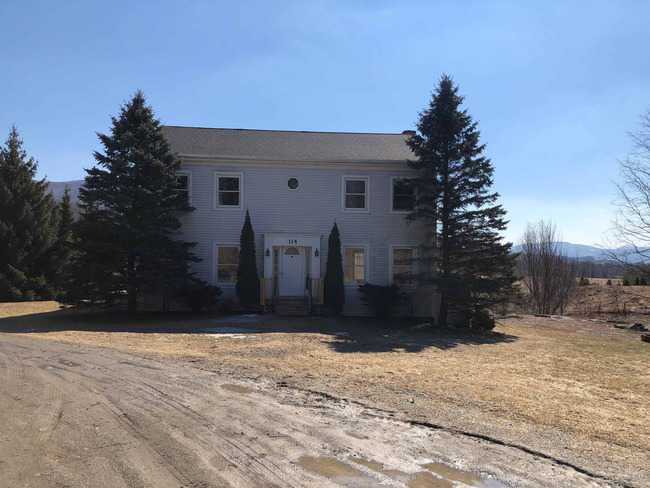 Discover current real estate for sale in Pawlet, Rupert and Middletown Springs VT. Search through a variety of listings including acres of land, residential homes, and more. Use the criteria to the right to narrow your results to particular towns or price ranges, etc. Save your favorites when you create an account, and you can get email updates when new properties match your search criteria. For more information and to schedule a tour of the area or a showing, don't hesitate to contact us. Once a deli, pizza place, and then bakery. There is a pizza oven on premises. Good location near the town center. And with only one other dining option in town, the right person could make this a success. The building is in need of some minor TLC, but the price is right and WELL BELOW the assessed value. Make your dreams of owning your own business a reality. Grant's Village Store has been a successful, established business for over 40 years. The current owner has been operating since 1997. This business boasts: • Stable revenues & profits • Superior retail location • Loyal and trained staff. This store is located in the town center and is the community meeting place. It offers all the necessities, many local specialty products, coffee, pet products, and so much more. This is the only store in town and is vital to the whole community. Other small stores are still 10+ miles away. There is no reason that this local goldmine shouldn't continue to be the success that it is now and has been for decades. Located in a tight knit community that offers school choice for grades 7-12. This is a wonderful community to raise a family in or to retire to. Affordable family home which exudes both charm and character of old and new! Truly an excellent value, offering approximately 3,400 sf. This nicely updated farmhouse features two very comfortable Master suites, along with three other bedrooms. There is a gracious living room with gas stove,and comfortable well appointed library with custom crafted bookshelves, room for all of your personal collections topped off with a very cozy pellet stove. A most generous office, very private.There is a wonderful eat-in kitchen/dining room with lovely views out to the deck and mature perennial gardens. There's also a two car garage/barn/workshop with heat and 30 x 40 Pole barn for all the toys.Blueberry bushes galore, producing enough to feed your family as well as plenty to share with friends.. Attention to detail throughout the entire home makes this a turn-key treasure. It really doesn't get much better than this and we wecome you come take a look for yourself! W Pawlet, Vermont. Located on a private Road, off Route 153, sits this 1984 log home on 3.7 acres. A very private location with beautiful mountain views. 2 bedrooms plus an den/office which can be used for more sleeping. A full poured concrete basement. New metal roof installed Dec. 2017. Open kitchen-dining-living room accented with wood stove. Drilled well. Kelley Hill Tranquility - Long Term Lease - Perfect for Family and Craft Enthusiast! 3 bedroom, 2.5 bath center hall Colonial in Pawlet. Majestic views and lots of sunlight. Light, bright, and cheery. Wood floors and clean linoleum throughout. Wonderful coat closet in entry hall from front door. Eat in Kitchen with island ( perfect for baking and cookbook storage), Living room with wood stove, living room has wonderful french doors that open onto a spacious wrap around deck and views! Upstairs, 3 bedrooms, 2 full bath, lots of closet space - freshly painted throughout in neutral tones. Master bath has washer/dryer. All updated appliances. Full heated basement downstairs, workshop ready, perfect for a wood working enthusiast, crafting, or rec room for the kids. Outside enjoy the mountain views, fire pit, and hemlock hedgerow borders neighboring property for privacy. Mettowee school district and school choice. Highly energy efficient. Convenient to main roads, easy commute to Manchester or Rutland. $1700/month plus utilities, year Lease, pets are fine with additional deposit ( refundable). 1st, last, & security. Must fill out application and credit check. Many recent updates/improvements. New kitchen, 2 new full baths, updated wiring, new interior and exterior painting. New decks, nice yard. Nice 3 Bedroom, Tan with Red Trim, Farmhouse situated on 3.40 Acres ! Large, modern, oak, eat-in-kitchen, Dining Room, Living Room & Full Bath in the lovely town of West Pawlet. Full Basement. Large covered porch and front Entrance Porch. Beautiful, big back yard with large trees and landscaping. Not far from Manchester, Dorset and Granville, NY. The perfect Village setting is where you will find this charming Colonial that resides on a beautiful 1.39 acre lot. The setting is perfect for walking to the center of town where you will be able to grab a coffee and have a friendly conversation with your neighbors, or perhaps have a bite to eat at the local restaurant. The younger children will be able to walk to school while the older children will find choice of schools. Off from this beautiful home a great room was added in 1970 which reveals cathedral ceilings, exposed beams and a cozy gas fireplace. The first floor offers a bdrm and bath, country kitchen w. walk in pantry/laundry area, and dining room that is nicely illuminated from all of the windows which take in the park like setting grounds. The detached building is spectacular and offers a 2 car garage which is heated, great storage, and an incredible work shop w. pellet stove. An addition to the garage was added in 1978 providing room for an antique lighting business call the Lamplighter. An additional small storage barn is also on the property. Numerous upgrades have gone into the property from the Buderus boiler, asphalt roof on house 2013, new metal roof on garage/shop building in 2016, and the entire town has fiber optic cable for high speed internet. One of your favorite spots will be the screened front porch for sure. A Vermont home in a beautiful Vermont Village! Beautifully restored and updated c1850 Victorian gem. Gorgeous woodwork throughout. Kitchen with soapstone sink and counters, stainless steel appliances and antique bead board cabinets. Also, bath with clawfoot tub, marble sink, tile shower, mudroom with slate floor, separate one car garage and front porch to enjoy the tranquil setting in the heart of Rupert. Great location, only 10 minutes to Dorset! Listed by Scott Mcchesney of Lee D. McChesney RE, Inc. This lovely 1850's Post & Beam Farm House features: 3 Bedrooms ~ 2 Baths. Double living room with floor to ceiling bookcases. Formal Dining Room, Den, First Floor Landry Room. Mud Room with great storage. Oil furnace less than 10 years old. New 100 amp electrical panel, weatherization done in 2018. Pressure treated stairs in bulk head. Front Deck 12x16. Two Out-Buildings & Pole Barn. Nice lot in beautiful, historic Middletown Springs. Walking distance to the Town Green & General Store. Historic Mineral Springs Park with Gazebo nearby. Only Eight miles to the town of Poultney & Green MT College. A truly special property with loads of room including the 3700 square foot main house with 5 bedrooms, 1800 square foot 2 bedroom guest cottage, 1700 square foot party barn, two detached garages, additional outbuildings, flowing multi-level deck with long views down the valley, leading to the in-ground pool. Numerous features including wide pine floors, natural woodwork, spa-like bathrooms, sauna, radiant heat, multiple fireplaces and more. Must be seen to be appreciated, the possibilities are endless. This vintage home has been restored from the ground up! Come see for yourself the many upgrades this house has. Top of the line kitchen with granite countertops, plenty of workspace & cabinets, formal dining room, family room with wood burning fireplace and 1st floor master suite w. soaking tub & walk in shower. Upgrades include wiring, insulation, 50 yr. shingles, Buderus furnace and cement board siding. All of this sits on a picturesque 2.6 acre lot.